This new power bank supports Quick Charge 2.0 and has enough capacity to fully charge even a laptop once, or an average tablet 3 times. For most smartphone and phablet users, having a power bank is nothing more than a bare necessity of modern life. While large capacity power banks can get quite expensive and not many of them offer Quick Charge compatibility, Xiaomi takes care of both problems with its new accessory that joins the Mi family of products. The 20000 mAh Xiaomi Mi power bank can charge an average smartphone at least 5 times (7 full charges for the Apple iPhone 6), but it can be used to juice up tablets and laptops as well. Obviously, it can only charge a laptop once, but that remains impressive considering it only costs around $23 USD. This power bank also offers Quick Charge 2.0 support, as well as DC 5V/2A, 9V/2A, and 12V/1.5A. 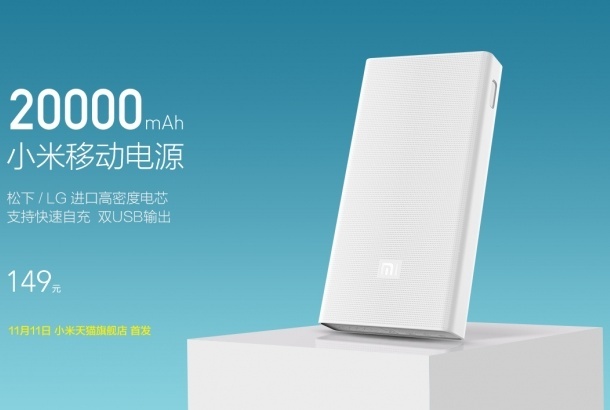 The previous power banks launched by Xiaomi had capacities between 5000 mAh and 16000 mAh. This new power bank offers two USB ports, weighs less than 0.75 pounds, and supports fast charging as well. 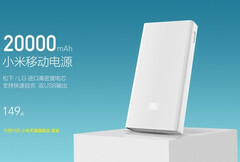 The 20000 mAh Xiaomi Mi power bank offers "world class chipset protection" and is already available for purchase.